Make Your Home Look Expensive! Yes, you can achieve a high-end look without blowing your budget! Give your space fresh appeal with these ideas to make it look more expensive. If that eyesore overhead makes you cringe during every meal, ditch it! 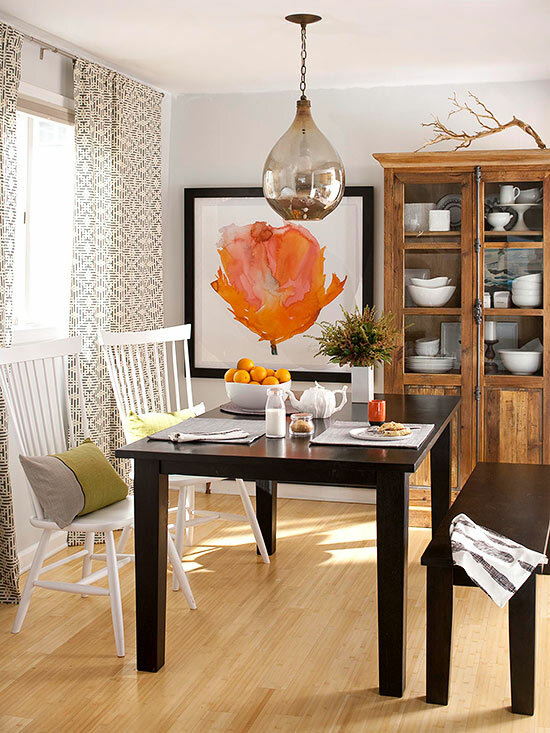 Swapping out an old light fixture for a new one instantly updates the ambiance of your space. Want to tackle the job yourself? Use our step-by-step instructions. 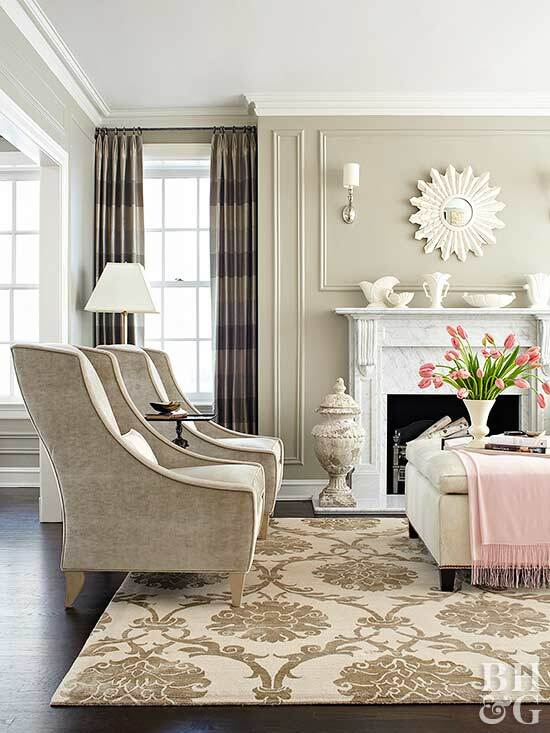 Have you ever noticed how most high-end homes are awash in neutrals? Neutrals feel calm, clutter-free, and classic. 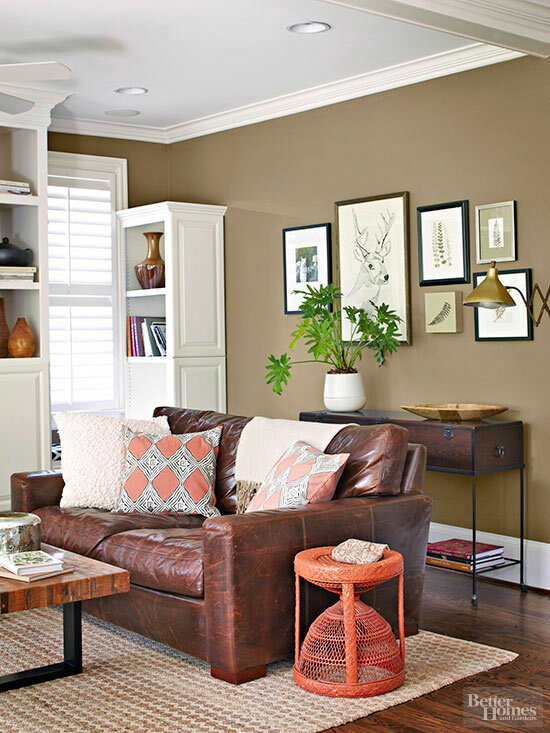 Bring high style to rooms by choosing neutral hues for anything that's expensive to update, such as floors, fixtures, and upholstery, and using accessories to introduce bold colors and textures; a neutral base lets hotter hues take center stage. It's beautiful, it's timeless, and best of all, it gives you a lot of bang for your buck. Subway tile is an affordable option for kitchens and baths, so you can keep costs low and achieve a stunning look. Have cash to spare? 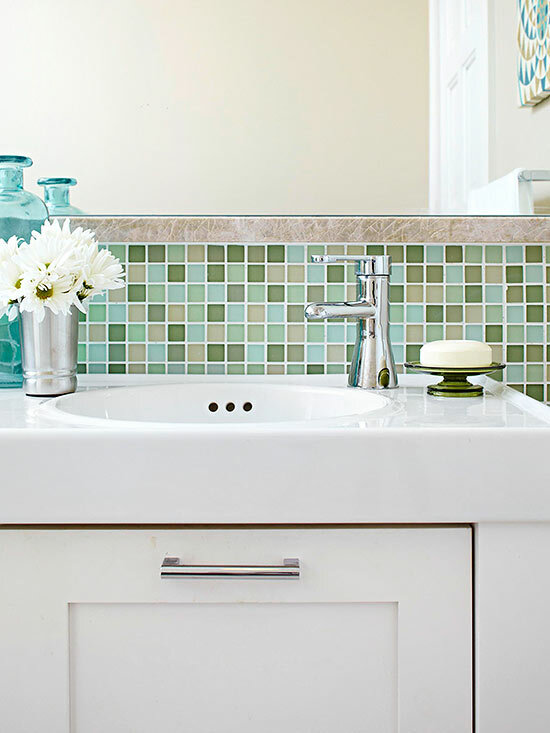 Introduce a second tile design in a different color or size to add interest. Interior doors don't have to be solid and boring. Beautiful, space-saving pocket doors may be worth the splurge. Not only do they elevate style, but they also can be used to create separation within open floor plans. If you like the look of library-like shelves but don't want to splurge on a custom design, use bookcases to create the appearance of floor-to-ceiling built-ins. 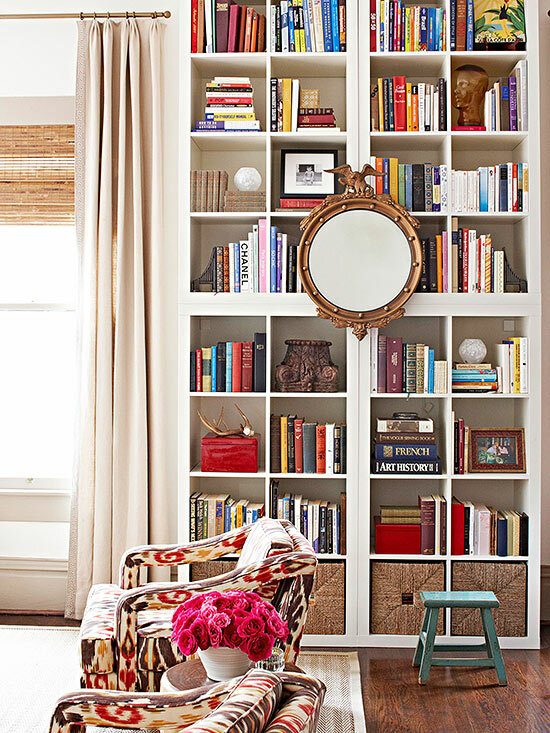 In this living room, four tall bookcases were stacked and secured to the wall with anchors. Give plain walls a paneled look by adding narrow strips of molding. This treatment, known as picture-framing, is a simple way to draw eyes to certain areas of the room. Keep the spacing even and the edges aligned for a symmetrical, eye-pleasing look. Architectural details are a great way to make a home look expensive. 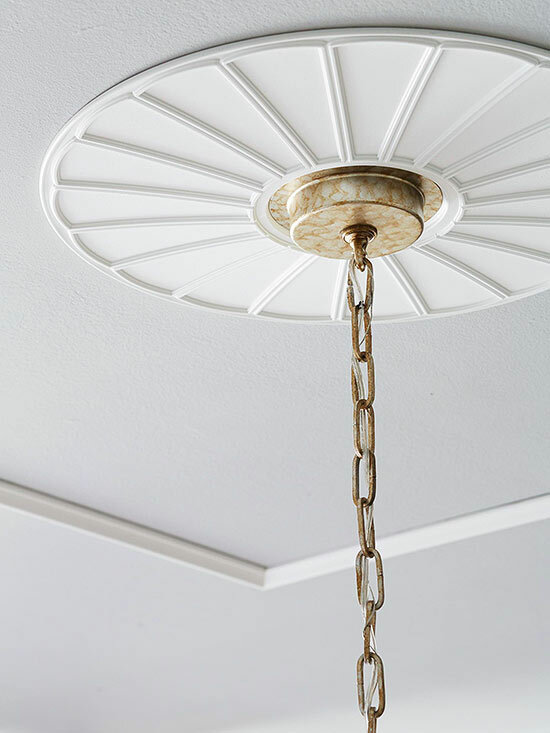 Turn the ceiling into a focal point with this simple trick: Embellish the area around a light fixture's attachment with a lightweight, polyurethane ceiling medallion. Decorative ceiling medallions are available in various sizes and can be painted in your desired hue. Give a bathroom or kitchen a sparkly new look by coordinating hardware finishes. Replacing mismatched accessories with new, coordinating pieces is an affordable update that will make your space look polished and luxurious. 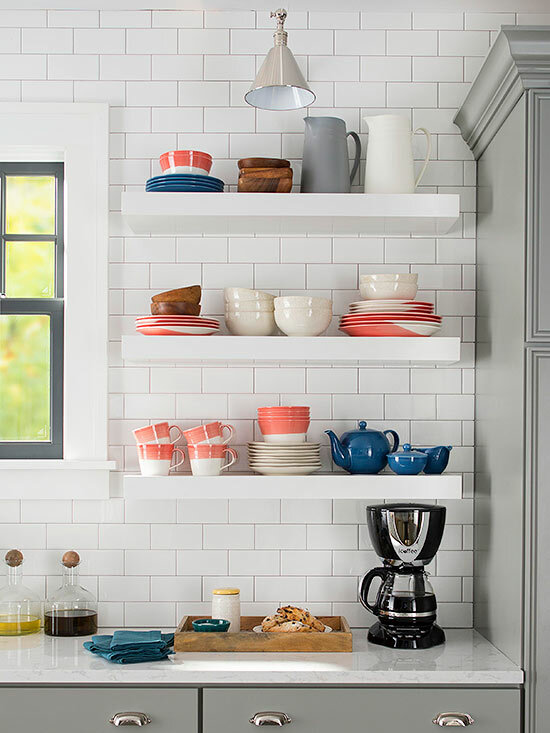 Is your kitchen stuck in a rut? If yours has an island -- or you're planning to add one -- consider using tonal contrasts to spark some interest. 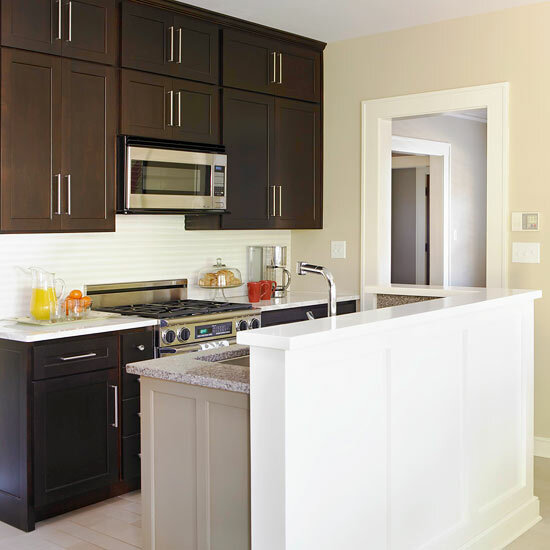 Shades of taupe, espresso, and white give this small kitchen a sophisticated upgrade that's both traditional and modern. You may not have the cash for a full-on exterior makeover, but improving your entryway can make a big impact on your home's curb appeal. 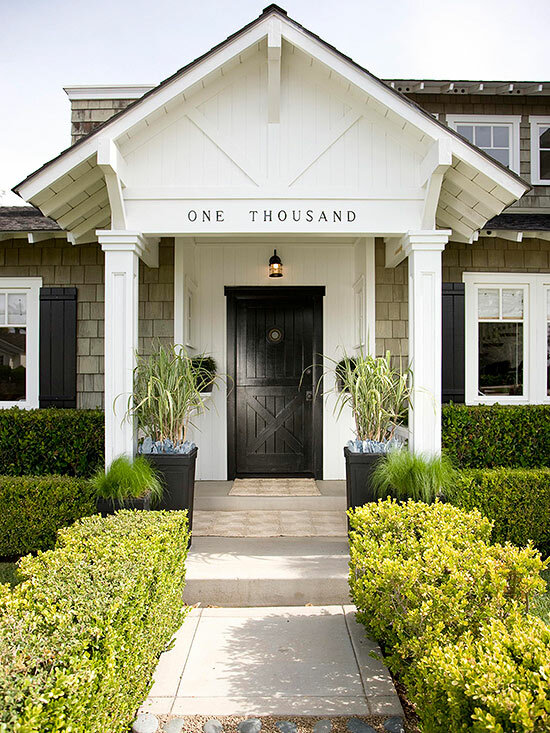 Use a dark hue to make the point of entry pop, then flank the front door with tall planters. Finish the look by adding symmetrical plantings on either side of the walkway.